For those of you who followed along with my Encouraging Bloggers series, I have a couple more resources to share with you! Have you stopped by the Allume blog yet? So many good things happening there, but one that you will appreciate is the Smaller Bloggers series on Thursdays. Christin and Trina are writing the series to "...equip you, encourage you, and cheer you on." Go. Read. Be encouraged! If you're looking for some help with your blog, my friend Christin from Joyful Mothering has just launched a new business: Joyful Living Media. 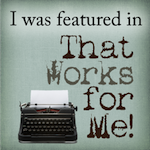 Christin is offering blog critiques and consults along with writing critiques. Her prices are very affordable! This could be just the thing to help your blog get off the ground or to help you move forward if you're feeling stuck. Go check it out! Remember - if you need a little assistance with fixing up your blog, you can check out my Blog Tips pinterest board. I just used one of the tutorials linked on there a couple days ago! Resist the temptation to compare yourself to others and don't let the blogosphere get you down! 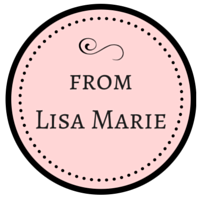 You have a voice and a purpose - keep on blogging! May you be blessed and encouraged today friends! You can stop & smell the chocolates with me everyday - just click and subscribe right here. I guess I needed this today. LOL! I've been in a slump but I'm trying to stick it out. 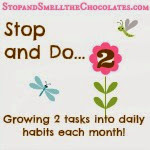 Big I just got a visual of literally stopping and smelling chocolates with you every day and it's got me giggling size hugs to you! Words have failed me as of late, but I'm hoping to pick back up.